Derek graduated from Cornell University. On his time off, Derek enjoys watching competitive sports with his family. Derek & his wife, Penny, have two children. Their son, Tyler, attends the University of North Carolina at Chapel Hill and is a pitcher on the baseball team. Their daughter, Torey, attends West Orange High School and has committed to play volleyball at Boston College. On occasion, when the weather is just right, Derek finds time to play golf with friends. His favorite entrée at the Rosen Plaza is the Cedar Plank-Roasted Sea Bass which is on the menu at Jack’s Place Restaurant. Derek was presented with the Rock Award at the 2010 Golden Pillar Gala for a decade of foundational service to Rosen Hotels’ Service Advisory Council. 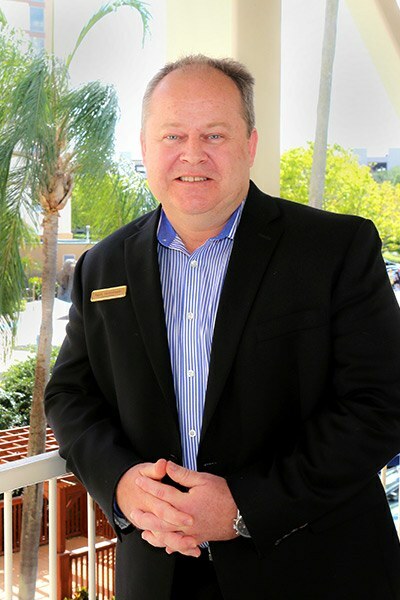 Jay’s favorite thing about working at Rosen Hotels & Resorts is working with a team of dedicated associates whose main concern is to create a memorable experience for our guests on a daily basis. 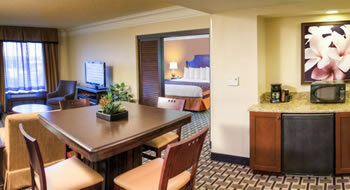 His favorite fun things to do in Orlando are playing golf and spending time with his family. Jay’s favorite thing off the Rosen Plaza® menu is the Lite Bite’s Grilled Cheese of the Day. Jay volunteers for Hubbard House, he delivers Meals on Wheels to benefit homebound individuals, and participates with Operation Giveback to benefit the Wounded Warrior Project. The Madison, Wisconsin, native joined the Rosen Hotels & Resorts team in May 2001 bringing with her a career’s worth of valuable experience. Building on a dream and watching it turn into a reality is what drives Leslie and what she loves about her job. Between Orlando and Las Vegas, Leslie honed her career in the nation’s top two entertainment and meetings destinations. 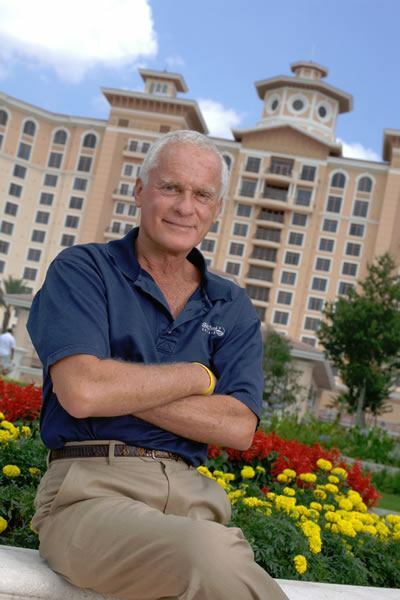 In Orlando, the entertainment capital of the Southeast, Leslie built and led Rosen Shingle Creek’s pre-opening team in marketing and selling its 1,501 guestrooms and meeting halls. 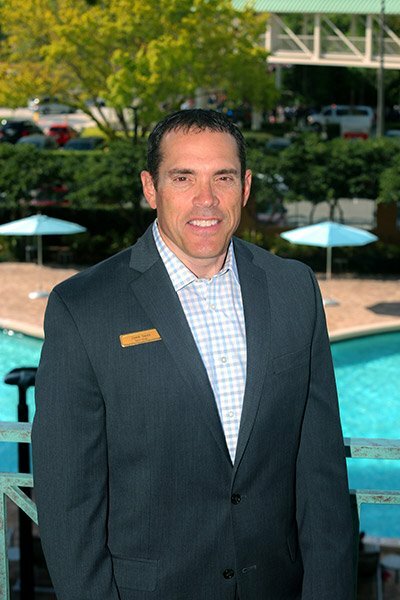 After the hotel’s successful opening in Sept. 2006, Menichini created synergistic sales opportunities within Rosen Hotels & Resorts’ team of Directors of Sales and Marketing and Sales Managers. 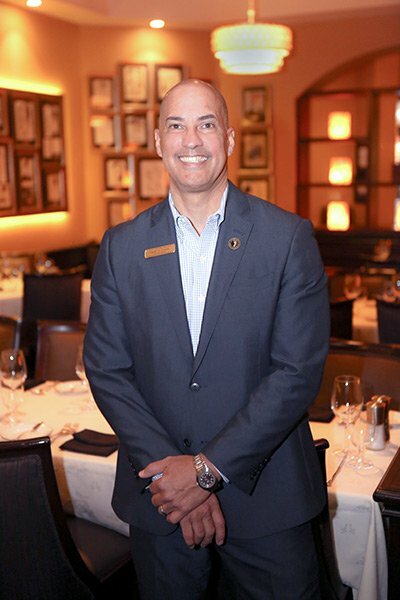 This combined responsibility led owner Harris Rosen to expand Leslie’s role to Vice President of Rosen Hotels & Resorts, Convention Properties. 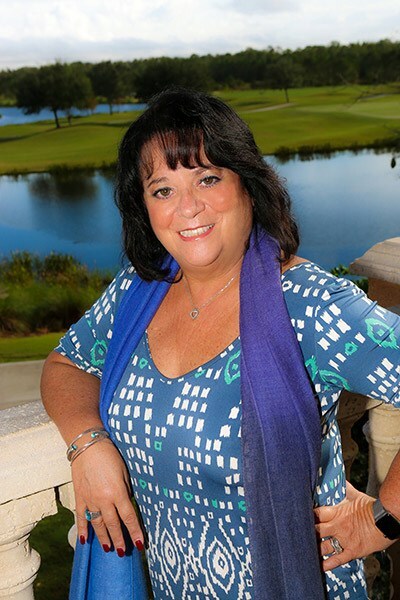 In addition to her current Rosen Shingle Creek sales and marketing duties, Leslie oversees the centralization and synergy efforts of Rosen Centre, Rosen Plaza®, and Rosen Shingle Creek’s sales and marketing, staff development, and revenue management. 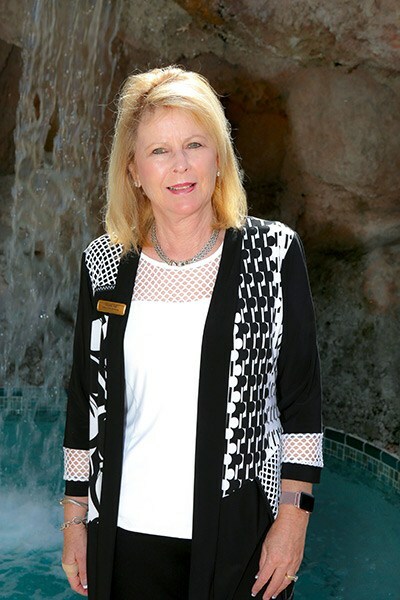 In the entertainment capital of the Southwest, Las Vegas, Leslie was Director of Sales for Bally’s and Paris Las Vegas, where she was instrumental in opening the landmark hotel. Her position progressed as the Executive Director and Corporate Liaison for Park Place Entertainment’s corporate sales office where she concentrated on synergizing five Las Vegas hotels within different brands which allowed her to develop the skills she uses to lead her team today. 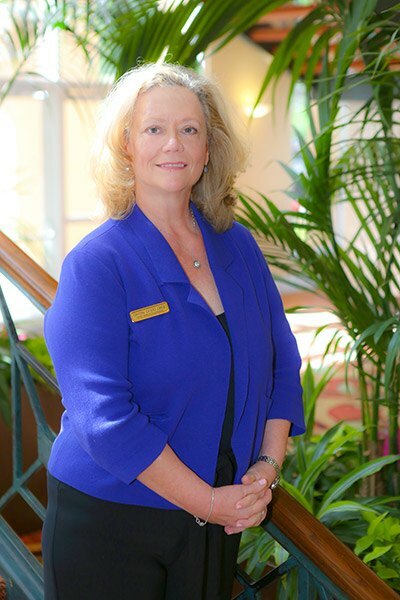 To complete her well-rounded experience, Leslie was the pre- and post-opening Director of Sales at the Westin Mission Hills Resort in Rancho Mirage, California, completing her 10 year with Westin Hotels & Resorts; and prior to her move to Rosen Hotels & Resorts, served as the Assistant Director of Sales at the Walt Disney World Swan and Dolphin Hotel. With such a professional skillset and wisdom, Leslie would like to bottle everything that she has learned over the years so that she can preserve all her cherished life experiences! Born of the passion she has for family and friends, she has never met a stranger. 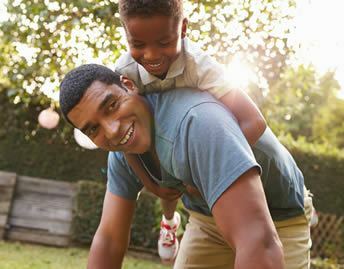 Balancing life the happiness of her two sons, husband, and daughter in law, last but not least her beautiful two grandchildren. She treasures the many valued industry friends she has met along the way. Leslie loves to invite her friends and colleagues into her home at the close of a long day and as you enter you will smell the waft of garlic cooking, hear the sounds of Italian music and the wine bottle cork popping and the patter of the feet of the very happy puppies Farley and Sheldon; once you have experience this, you’ll know you have met Leslie Menichini, Vice President of Sales and Marketing, wife, mother, sister, aunt, grandmother and loyal partner and friend. Victoria’s favorite thing about working at Rosen Hotels & Resorts is the flexibility and empowerment to make decisions for clients. In 2013, Victoria was awarded with the Passion for Excellence Award, an award presented to associates who are passionate about the work they produce. In 2016, she was awarded with the Power Stroker Sales Award for her excellent sales record. Victoria volunteers with Habitat for Humanity, and enjoys participating in several community walks, to include walks with Breast Cancer Awareness, American Heart Association, and Paws in the Park. 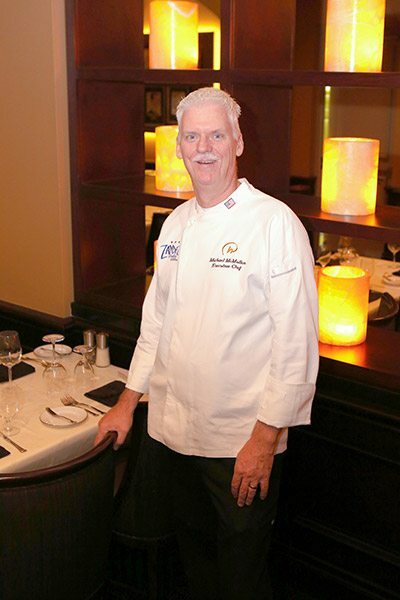 Chef Michael graduated from the University of Cincinnati. For Michael, his favorite thing about working at Rosen Hotels & Resorts is having such a diverse staff of culinarians to infuse ethnic flair into the menus and recipes. Michael’s favorite thing off the Rosen Plaza® menu is the amazing Cedar Plank Seabass at Jack’s Place. His favorite fun thing to do in Orlando is boating on the many lakes available in the area. Martha was named Associate of the Year for 2013 and Associate of the Month for April 2017. 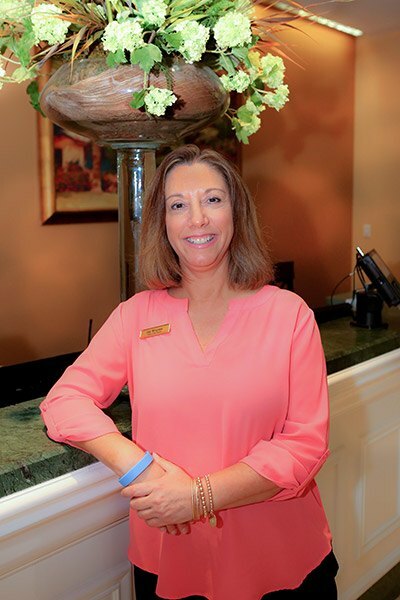 Martha’s favorite thing about working at Rosen Hotels & Resorts is that it does not feel like work because everyone is kind and endearing. Her favorite fun thing to do in Orlando is spending time with her family at various local attractions. Martha enjoys participating in the 5K Corporate Walk. 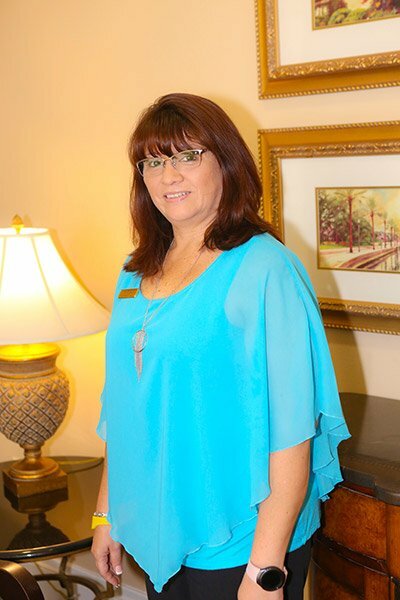 Dee was named Manager of the Year for the Rosen Plaza® in 2014. On her time off, she enjoys finding local venues that are off the beaten path to hang out with friends. Dee’s favorite thing on the Rosen Plaza® menu is the Jack’s Place Signature Bisque, a “Royal Red” shrimp and corn bisque accented with Jack’s special herbs and spices. Crystal’s favorite things about working for Rosen Hotels & Resorts are the integrity of the brand and our company’s leadership. On her time off, she enjoys going to the theater in Orlando’s beautiful performing arts venues. 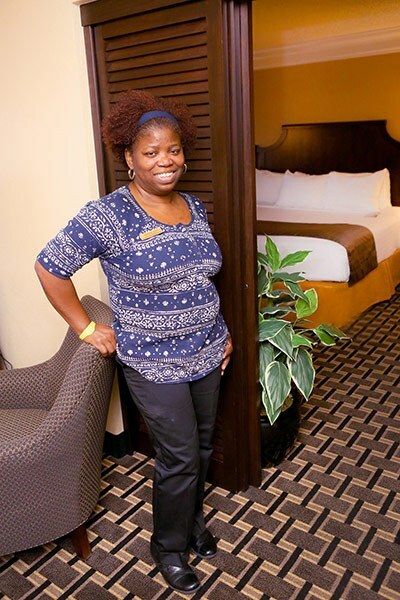 Crystal was named Manager of the Quarter in 2015 when she worked at our sister property, the Rosen Centre. 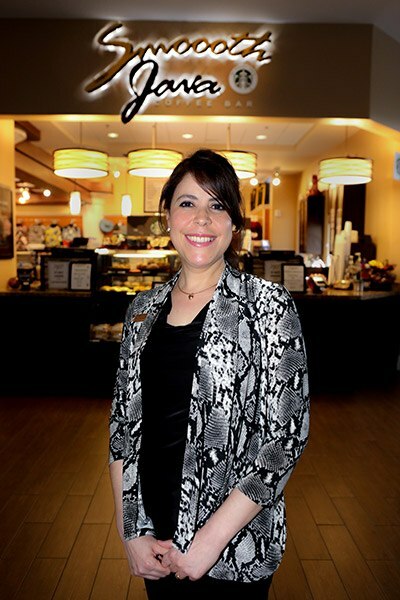 Marcela’s favorite thing about working at Rosen Hotels & Resorts is her team. 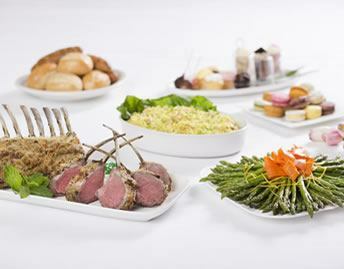 Her favorite thing off Rosen Plaza®’s menu is 3NINE’s Yucca Fries. Marcela has participated in numerous community service and corporate events. 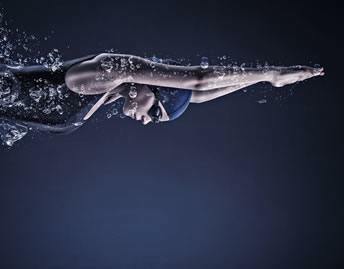 She is also a member of our company’s Wellness Initiative Network. 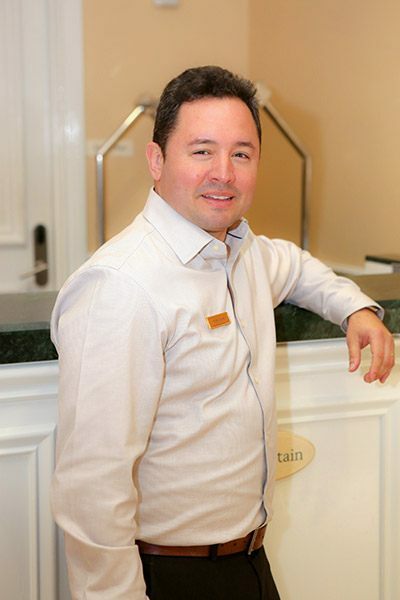 Amir joined Rosen Hotels & Resorts® in 1992. Amir’s favorite thing about working at Rosen Hotels & Resorts® is the team spirit and dedication to excellence. Amir’s favorite activity away from work is spending time with his family, walking on the beach, and hiking. Amir’s favorite menu items are Zayde’s Kosher Kitchen’s hummus and baba ganoush. Miguel’s favorite thing off the Rosen Plaza® menu is the 3NINE Salmon Salad. 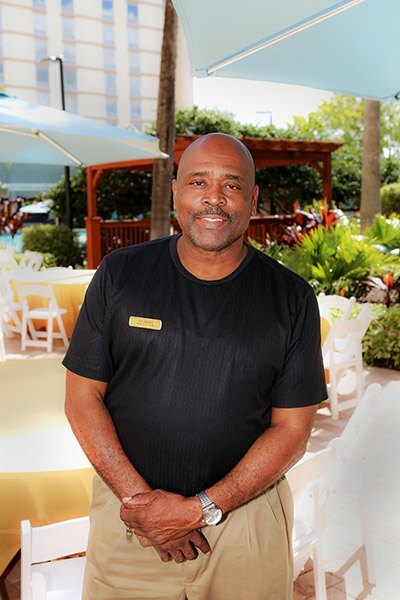 He has been recognized as a “One Step Further” honoree – this is a corporate program that recognizes associates for going the extra mile for guests. 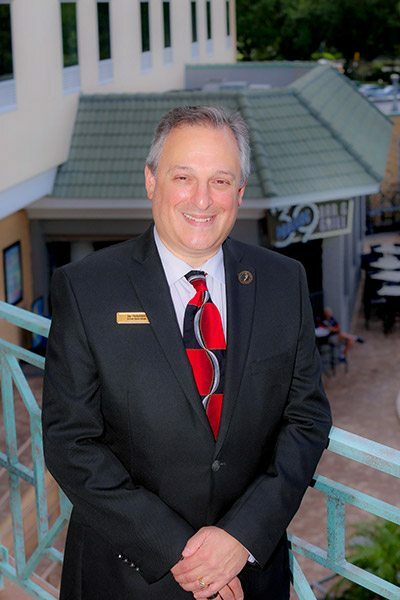 John’s favorite thing about working at Rosen Hotels & Resorts is that creativity is encouraged and appreciated. 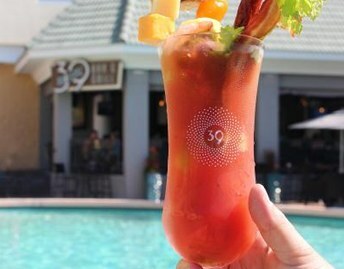 His favorite thing off Rosen Plaza®’s menu is 3NINE Poolside Bar’s “Big Boss,” a giant soft pretzel with locally brewed Alligator Drool beer cheese. 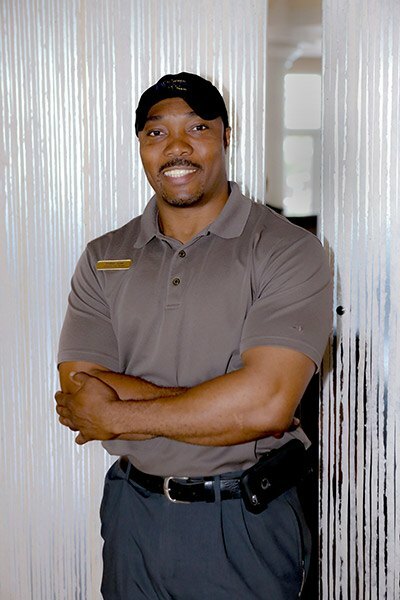 Patrick’s favorite thing about working at Rosen Hotels & Resorts is being able to provide a safe a secure environment for guests and associates. Patrick’s favorite fun thing to do in Orlando is to ride his Harley motorcycle around town. In 2015, Patrick was honored with the Rosen Hotels & Resorts Community Hero of the Year Award, an award that recognizes associates for their exemplary efforts in community service. 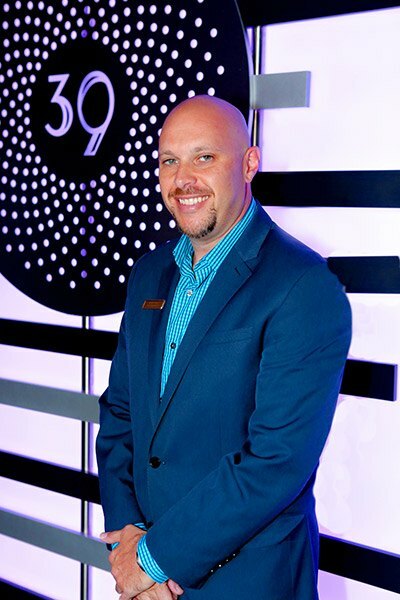 Patrick is very active with the American Cancer Society and has held leadership positions with the Relay for Life of Lake Nona, among other volunteering efforts. John’s favorite fun thing to do in Orlando is grilling with family and friends. John volunteers for the Boys and Girls Clubs of Central Florida preparing food for the kids and families, and has participated at the Corporate 5K. Ahlam’s favorite things about working at Rosen Hotels & Resorts are the employee benefits, the leadership, and the family-oriented atmosphere. On her time off, she enjoys going to the movies and experiencing the great attractions around Orlando. Ahlam’s favorite thing on the Rosen Plaza® menu is Jack’s Place’s The Wedge, their signature flourless chocolate cake. 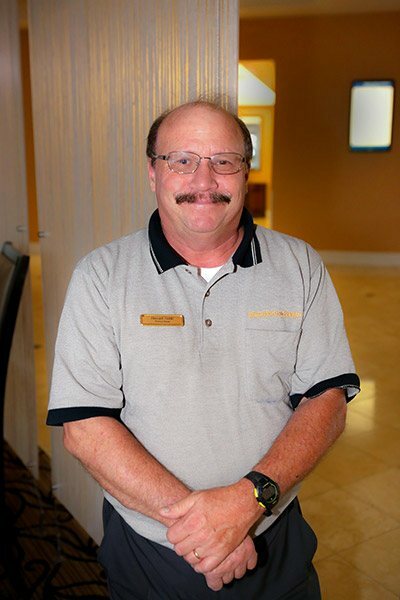 Howard’s favorite thing about working at Rosen Hotels & Resorts is getting to be a part of a very successful company. His favorite fun thing to do in Orlando is adventuring the Orlando wetlands. As part of his community service, Howard has helped provide meals for families at the Coalition for the Homeless. 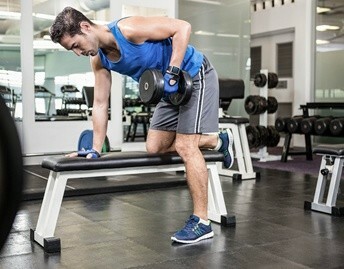 Andres’ favorite thing about working at Rosen Hotels & Resorts is that it is family-oriented, a smoke-free workplace, and has a company culture of wellness and health. During his time off he enjoys visiting area recreational parks and watch Orlando City soccer games. Andres loves the burgers at 3NINE. He has been recognized as Associate of the Month as well as Manager of the Quarter. 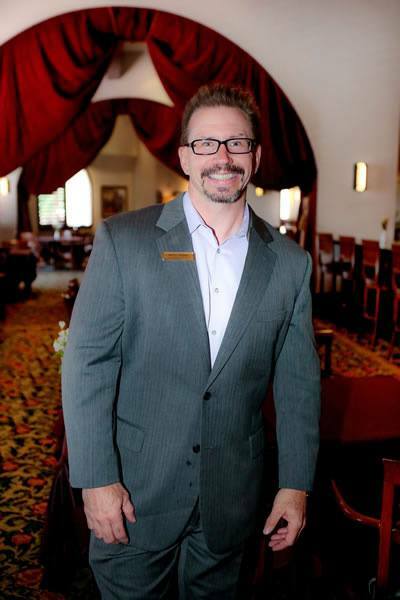 His favorite thing about working at Rosen Hotels & Resorts is the opportunity to grow. Emilien’s favorite thing from the Rosen Plaza® menu is the 3NINE Poolside Bar Skuna Bay Salmon Salad, which features a grilled filet of sustainable, ethically-raised salmon from Vancouver Island. 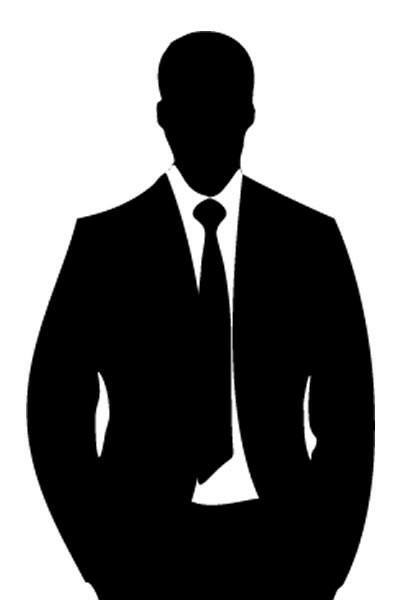 Emilien has participated in corporate events such as Charity Challenge and community walks.